Researchers may be one step closer to developing a potential immunotherapy for ALS. The approach, developed by ProMIS Neurosciences in Toronto, Canada, aims to reduce motor neuron toxicity in ALS by removing TDP-43 aggregates, which clutter up the cytoplasm. The researchers, according to ProMIS Neurosciences, generated monoclonal antibodies that specifically detect misfolded TDP-43. Now, the team is testing these antibodies to identify the most promising candidate to develop as a potential therapy for the disease. The strategy is one of a growing number of approaches that aims to protect motor neurons in ALS by reducing the build-up of TDP-43 in the cytoplasm (see September 2017 news). TDP-43 aggregates can be detected in the cytoplasm of motor neurons in more than 95% of cases of the disease (Mackenzie et al., 2007). Meanwhile, in Japan, researchers are developing a different approach in hopes to reduce motor neuron toxicity in ALS. The strategy, developed by a research team led by Shiga University of Medical Science’s Makoto Urushitani, uses single-chain antibodies, known as intrabodies, to target the aggregates for destruction (Tamaki et al., 2018). The intrabodies, which are encoded by a single gene, can be packaged into adeno-associated viruses (AAVs), enabling delivery into motor neurons and glia in the brain and spinal cord (see June 2017, July 2017 news). Stay tuned. To learn more about how scientists aim to tackle proteostasis in ALS, check out Breaking Up TDP-43 Aggregates May Be Doable Scientists Say. Tamaki Y, Shodai A, Morimura T, Hikiami R, Minamiyama S, Ayaki T, Tooyama I, Furukawa Y, Takahashi R, Urushitani M. Elimination of TDP-43 inclusions linked to amyotrophic lateral sclerosis by a misfolding-specific intrabody with dual proteolytic signals. Sci Rep. 2018 Apr 16;8(1):6030. [PubMed]. Mackenzie IR, Bigio EH, Ince PG, Geser F, Neumann M, Cairns NJ, Kwong LK, Forman MS, Ravits J, Stewart H, Eisen A, McClusky L, Kretzschmar HA, Monoranu CM, Highley JR, Kirby J, Siddique T, Shaw PJ, Lee VM, Trojanowski JQ. Pathological TDP-43 distinguishes sporadic amyotrophic lateral sclerosis from amyotrophic lateral sclerosis with SOD1 mutations. Ann Neurol. 2007 May;61(5):427-34. [PubMed]. Neumann M, Sampathu DM, Kwong LK, Truax AC, Micsenyi MC, Chou TT, Bruce J, Schuck T, Grossman M, Clark CM, McCluskey LF, Miller BL, Masliah E, Mackenzie IR, Feldman H, Feiden W, Kretzschmar HA, Trojanowski JQ, Lee VM. 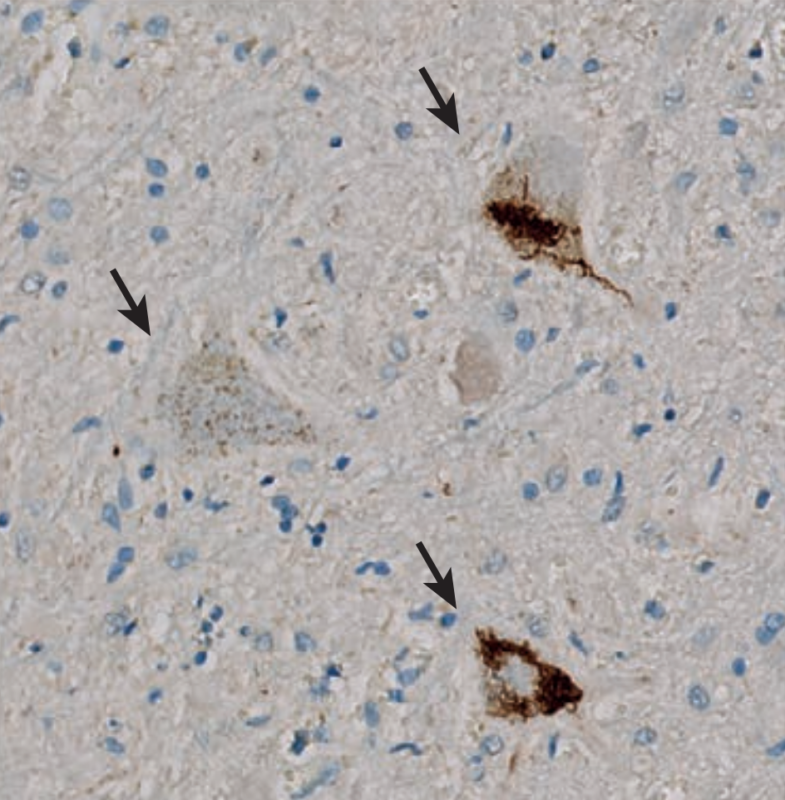 Ubiquitinated TDP-43 in frontotemporal lobar degeneration and amyotrophic lateral sclerosis. Science. 2006 Oct 6;314(5796):130-3. [PubMed]. Guo L, Kim HJ, Wang H, Monaghan J, Freyermuth F, Sung JC, O’Donovan K, Fare CM, Diaz Z, Singh N, Zhang ZC, Coughlin M, Sweeny EA, DeSantis ME, Jackrel ME, Rodell CB, Burdick JA, King OD, Gitler AD, Lagier-Tourenne C, Pandey UB, Chook YM, Taylor JP, Shorter J. Nuclear-Import Receptors Reverse Aberrant Phase Transitions of RNA-Binding Proteins with Prion-like Domains. Cell. 2018 Apr 19;173(3):677-692.e20. [PubMed]. Taylor JP, Brown RH Jr, Cleveland DW. Decoding ALS: from genes to mechanism. Nature. 2016 Nov 10;539(7628):197-206. [PubMed].